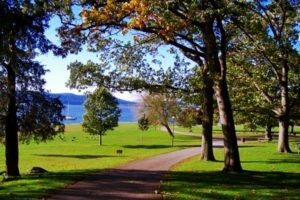 Irvington, sometimes known as Irvington-on-Hudson, is an affluent suburban village in the town of Greenburgh in Westchester County, New York. It is located on the eastern bank of the Hudson River, 20 miles north of midtown Manhattan in New York City, and is served by a station stop on the Metro-North Hudson Line. To the north of Irvington is the village of Tarrytown, to the south the village of Dobbs Ferry, and to the east unincorporated parts of Greenburgh, including East Irvington. 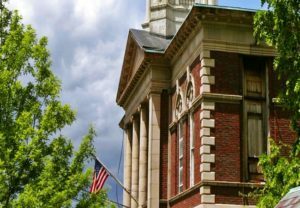 Irvington includes within its boundaries the community of Ardsley-on-Hudson, which has its own ZIP code and Metro-North station, but which should not be confused with the nearby village of Ardsley, New York. The population of Irvington at the 2010 census was 6,420. Irvington offers a full range of housing options, from condos and co-ops to older village Colonials and single-family homes of all sizes. With its tree-lined downtown and lack of major shopping centers, Irvington is the quiet sibling among the villages and hamlets in the Town of Greenburgh. Spread out over four square miles, the village offers easy access to New York City and affordable prices for home-buyers. 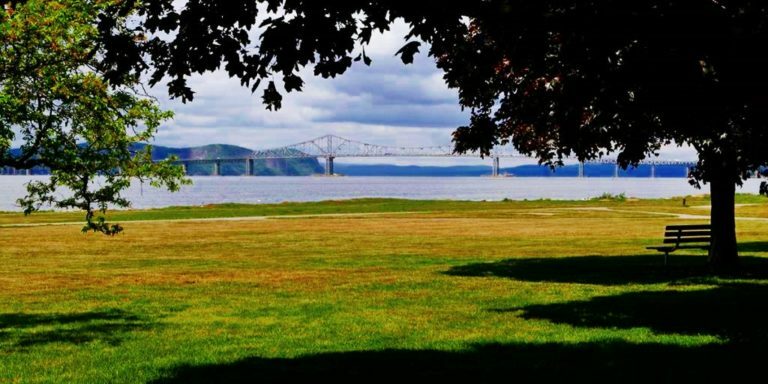 And it is blessed with one of the most picturesque main streets anywhere, which runs due west from Route 9 to offer a breathtaking panorama of the Hudson, the Tappan Zee Bridge, and postcard-worthy sunsets. Many abandoned industrial sites along Irvington’s waterfront recently have been transformed into thriving offices, art galleries, and restaurants. The village’s Main Street area has been designated an historic district by New York State, and, as of 2013, is under consideration for addition to the National Register of Historic Places. In 2013, Westchester Magazine ranked Irvington as the “Best Place to Live in Westchester”. On Metro-North, the ride to Grand Central is approximately 45 minutes. By car, it’s just 20 miles to the city on the Saw Mill River Parkway. For more information on Irvington please Click Here.